Why haven’t I heard about flexible IRA investing before? Brokerage companies earn commissions when you buy and sell stocks, bonds, and mutual funds. They don’t make money when you buy real estate. Further, very few custodians are interested in holding “non-traditional” assets they don’t understand. With the self directed IRA investment plans available to you today, only STC provides “full service” to self directed retirement plan account owners. Can I really invest my retirement assets in real estate? Absolutely. In 1974, the Employee Retirement Income Security Act (ERISA) gave all IRA retirement plans this option. In addition to real estate, you can direct your self directed IRA investments into, among other things, mortgages, notes, tax liens, and private businesses. There are restrictions on some investments, but STC will help you navigate through them. What are “IRA transfers” and “IRA rollovers”? A “rollover” occurs when an individual requests a distribution from an IRA/QRP (Qualified Retirement Plan) and then “rolls” the assets into another IRA. An individual is limited to one rollover per year. A “transfer” is when IRA assets are moved directly from one financial institution to another without the IRA owner taking possession of the assets. Unlike rollovers, there is no limit on how many transfers can be executed in a year. How can I leverage the assets in my IRA to buy more expensive properties? 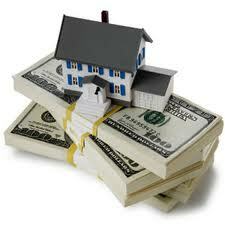 You can use the equity in the property you expect to purchase to borrow funds on a non-recourse basis. STC can direct you to non-recourse lenders that can assist you with the non-recourse process. Private financing and seller financing are additional options for self directed IRA investments. Furthermore, you can pool your IRA’s funds with those of other people, other types of IRAs, or even your personal funds to buy large properties (i.e. commercial properties). Are there any investments that I can’t make with my self-directed IRA? You cannot invest in Life Insurance Contracts or Collectibles (as defined by the IRS). Also, you may not participate in prohibited transactions. How fast can STC respond to an investment opportunity? After you send STC documentation regarding your proposed transaction and the persons to whom funds are to be sent, STC will send checks overnight or wire funds for you within hours of your call. When an investment is sold by my IRA, can I keep the profit that is above my initial investment? All income generated from self directed IRA investments must be deposited back into the IRA. Of course there is no income tax on this profit until the IRA begins its annual distributions. However, investors may incur unrelated business income tax (UBIT) on a portion of their investment income if the investment was made using borrowed funds. Are there any pitfalls to self-directed IRA plans? There are many potential self directed IRA pitfalls with respect to both prohibited transactions and timely reporting at the state and federal levels. STC’s specialty is structuring transactions in “safe harbors” to avoid such problems and ensure statutory compliance. There are various self directed IRA types, rules and guidelines, STC is here to help you keep your plan in compliance. Who makes the IRA’s investment decisions? You do. No matter your type of IRA plan, your account is truly “self-directed,” which means that you make the investment decisions for your retirement assets in much the same way as you invest outside of your retirement plan. But you don’t invest alone. STC will help you navigate the complex rules that govern prohibited transactions so you can focus on making the best investment decisions. How are my assets managed? Your assets are co-managed by you and STC. You make all investment decisions, and we take care of all of the paperwork and reporting details. Once you make an investment, STC will keep your books and records, coordinate the custodianship of your assets, oversee the annual asset valuation, and file all required annual reports. What are the benefits of having a Limited Liability Company (LLC) own my IRA’s assets? There are many advantages to using an LLC to own your IRA’s assets. The LLC structure offers maximum investment flexibility, provides asset protection, allows for “checkbook control”, simplifies asset titling, eases pooling of assets, and enables immediate response to investment opportunities. Can I combine personal money with my IRA money to make an investment? Yes. You and your IRA can purchase an investment together. However, since you cannot sell property to your IRA, transactions between you and your IRA retirement plan involving an asset after that asset is purchased are prohibited. There are many self directed IRA pitfalls, STC is here to help you stay in compliance with guidelines and regulations. What is STC’s fee structure? STC has an initial fee that covers the setup of your self directed IRA’s LLC and all associated transactions and documentation, and we have an all inclusive yearly administrative fee. How much support can I expect from STC? STC is proud of its superior customer service. We have full-time CPAs and attorneys on staff who are available to answer your technical questions at any time. STC also provides frequent webinars and other educational events for our clients and their professional advisors. With the different self directed IRA investment opportunities available to you, STC is here to keep you up to date and answer any questions you may have. Are there restrictions on where my IRA can purchase real estate? No. Your IRA can purchase real estate anywhere. A self directed IRA is a personal savings plan that gives you tax advantages for setting aside money for retirement. Provided you meet certain Self Directed IRA rules and income guidelines, this traditional IRA allows you to deduct your contribution in the tax year it is made, and investment earnings accumulate tax deferred. Upon reaching retirement age (59½ years old), distributions are treated as ordinary income. If you take a distribution before reaching retirement age, you will incur a 10% penalty as well as federal and state income taxes. You must begin taking distributions at age 70½. What is different about a Roth IRA? Contributions to a self directed Roth IRA are made on an after-tax basis, meaning that contributions to your Roth IRA are not deductible. However, investment earnings accumulate without tax and once you have reached retirement age distributions are tax-free. Also, there are no mandatory distribution requirements and self directed IRA rules with a self directed Roth IRA. Subject to self directed IRA rules and income limits, you may contribute up to $5,500 in the 2016 tax year to either your Traditional or Roth IRA. If you are 50 years old or older, you may contribute up to $6,500. What types of accounts can I rollover into my IRA? Among others, you may rollover a Traditional IRA, Roth IRA, SEP IRA, 401(k), or 403(b). In addition, you may consolidate multiple retirement accounts into one IRA. For example, if you have two 401(k) accounts and IRA open with a former employer, you may rollover all three accounts into one self directed IRA plan. You cannot invest in Life Insurance Contracts or Collectibles (as defined by the IRS). Also, you may not participate in prohibited transactions. As an self directed IRA owner, if you violate these rules, you may forfeit your entire IRA. There are many self directed IRA rules and stipulations, so it is important that you work with competent advisors to help you avoid such transactions. What exactly is a prohibited transaction? Self directed IRA transactions must be for the exclusive benefit of the retirement plan and must not directly or indirectly benefit the IRA owner, or other “unqualified” people. Here are some self directed IRA rules and guidelines to follow: You may not make loans to unqualified individuals, extend credit to your IRA, and you may not pledge the assets of your IRA to secure a loan. Your self directed IRA plans may not purchase the home in which you live, it may not rent real estate it owns to your children, and it may not personally guarantee a loan that your IRA uses to finance the purchase of real estate. There are many self directed IRA rules, guidelines, and prohibited transactions one must be aware of. As a self directed IRA owner you must comply and obey by these stipulations. STC can help you navigate these complex rules and keep your plan in compliance. The penalties for failing to comply with the self directed IRA rules can be severe, so you should work with an IRA administrator that will help you steer clear of any self directed IRA pitfalls. These penalties can range from a penalty tax to forfeiture of your entire IRA plan. To develop a true understanding, let’s invent a hypothetical prohibited transaction. Assume you have a single family residence in State College owned by your self directed IRA plan. You are renting to your son and his friends while they attend college. The IRS sends you a notice explaining that you are involved in a prohibited transaction and gives you the opportunity to correct the situation. You then find your son a new apartment and get a new, unrelated tenant for your rental property. Assume the same set of circumstances, but in this case you ignore the IRS’ notice and continue to let your son rent the house. The IRS will send you a notice stating that your failure to comply has resulted in the forfeiture of your investment property. The IRS seizes your real estate, removes your son from it, and sells the property. The proceeds of the sale go into the US Treasury and your once-substantial IRA is now gone. The best way to avoid this type of situation is to make sure you have a solid team of advisors helping you navigate the process.